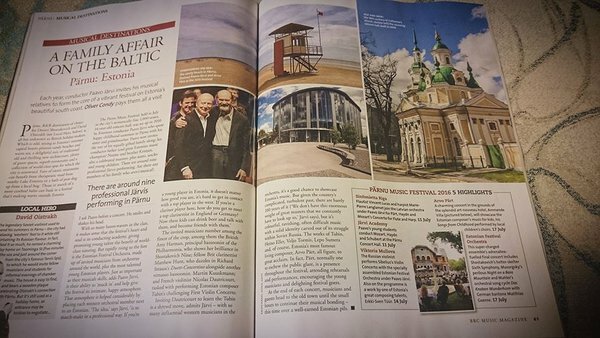 BBC Music Magazine chose Pärnu and Pärnu Music festival to be the musical destination of the June’s issue. Oliver Condy visited the festival in 2015 and invites more everybody to be part of the festival vibe in the magical Pärnu. Join our team as a volunteer! "Where would you go to hear the most electrifying and collegial orchestral playing in the world?"